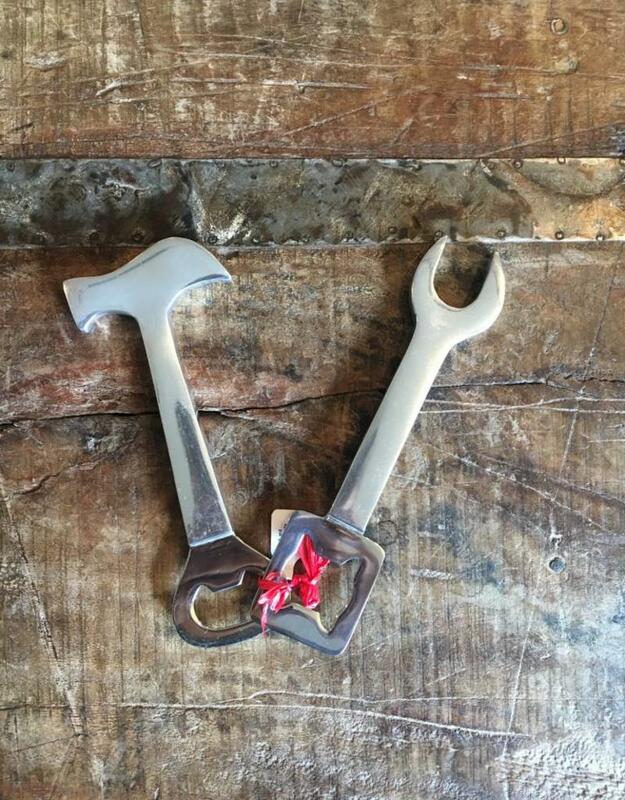 These metal hammer- and wrench-shaped set of bottle openers are great for any handy person! They make a very unique gift! Hammer measures about 6.25" tall; wrench measure about 6.5" tall. 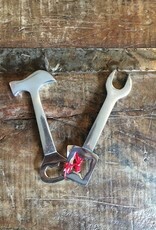 Set includes one hammer and one wrench. 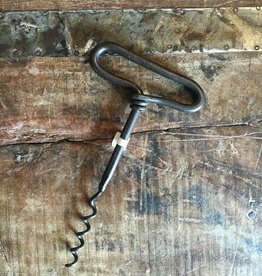 Perfect for your favorite bottles of vino!